Kuttanad is a region covering the Alappuzha and Kottayam Districts, in the state of Kerala, India, well known for its vast paddy fields and geographical peculiarities. The region has the lowest altitude in India, and is one of the few places in the world where farming is carried around 1.2 to 3.0 metres (4 to 10 ft) below sea level. 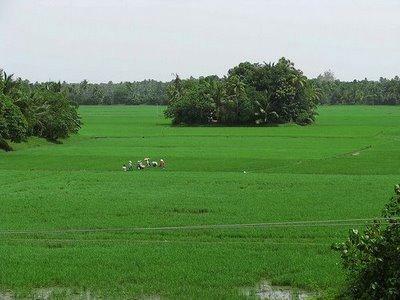 Kuttanadu is historically important in the ancient history of South India and is the major rice producer in the state. Farmers of Kuttinad are famous for Biosaline Farming. FAO has declared the Kuttanad Farming System as a Globally Important Agricultural Heritage Systems (GIAHS). Four of Kerala’s major rivers, the Pamba, Meenachil, Achankovil and Manimala flow into the region. 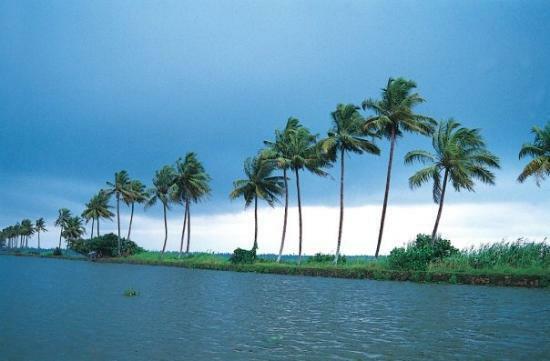 It is well known for it boat race in the Ramankari Backwaters. Also known in Malayalam as:(Vallamkalli). The first recorded history on the origin of this land is obtained from Sangam period literature. Additionally the oral history among local people, transferred from generation to generation is a blend of myths and legends is a valuable resource. According to Sangam era documents, Uthiyan Cheralatan (Perum Chorru Udiyan Cheralathan or Keralathan, Athan I), or Udiyanjeral (AD c. 130) is the first recorded Kera (Chera) dynasty ruler of the Sangam period in ancient South India. He had his capital at a place called Kuzhumur in Kuttanad (central Kerala) and expanded the kingdom northward and eastward from his original homeland. His lifetime is broadly determined to be between first and third century AD. His queen was Veliyan Nallini, the daughter of Veliyan Venman. Uthiyan Keralathan or Cheralathan was a contemporary of the Chola ruler Karikala Chola. He is praised for his elephant corps and cavalry. Present day Changanacherry end of Kuttanad was the capital of the Kera or Chera dynasty king Uthiyan_Cheralathan (“Keralathan” is the Malayalam pronunciation of “Cheralathan” in Tamil, similarly “Keralam” is a derivative version of “Chera-izham” or land of Cheras). His descendant was Senguttavan (Chenguttavan means “brave-hearted” in malayalam and his name is carried by the next towns of Chenganacherri and Chengana to the present day). According to sangam literature, Keralathan was defeated in the Battle of Venni with Karikala Chola and the capital was burnt down by the Chola army. The name “Chutta-nad” (burnt-land) became kuttanad, when malayalam evolved from tamil and the “Che” sound in tamil was replaced with the “Ke” sound in malayalam. Another local legend says Kuttanad was believed to be forest with dense tree growth. This forest was destroyed subsequently by a wild fire. It is a well known fact that burned black wooden logs were mined from paddy fields called as ‘Karinilam’(Black paddy fields) until the recent past. This fact throws some light on this theory of Chuttanad evolving to Kuttanad. In Kuttanad most of the place names end in kari (meaning burnt residue or charcoal). Some familiar place names are Ramankary, Puthukkary, Amichakary, Oorukkary, Mithrakary, Mampuzhakary, Kainakary, Chathurthiakary and Chennamkary.